EARLY BOOKING NOW OPEN! *5% off land price w/ your $250 per person deposit if booked by July 20, 2017. Tour begins 2:30 PM, Glasgow hotel. Set out on an introductory tour of central Glasgow — a city that flourished in Victorian times due to the shipbuilding industry and international trade. Drive around George Square with its ornate City Chambers and visit Provand’s Lordship, Glasgow’s oldest house built in 1471. Enjoy a welcome drink with your group before dinner. Travel alongside the famous Loch Lomond, renowned for its unsurpassed beauty. Drive across the haunting Rannoch Moor and through Glencoe, notorious for the Campbell massacre of the Clan Macdonald in 1692. Continue through Fort William and stop at a woollen mill to shop for quality Scottish goods and have a snack. At Fort Augustus embark on a short cruise on Loch Ness before heading to Nairn. Visit Blair Athol Distillery to see how whisky is distilled and enjoy a sample. 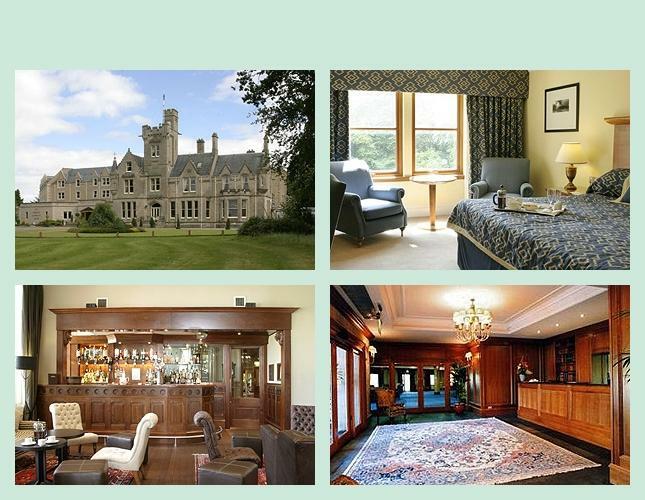 Travel to St. Andrews, best known as the “Home of Golf”. Take a panoramic drive around and spend some time exploring independently. 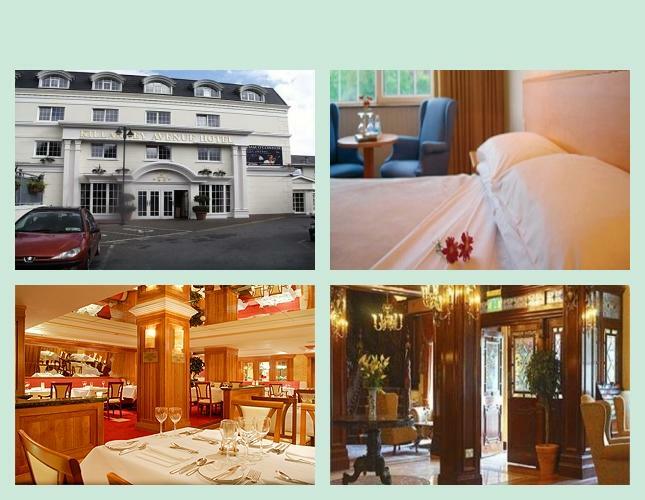 Continue to Edinburgh to your gracious manor house hotel, set on 1,000 acres with two golf courses and spa facilities. Enjoy a Scottish evening with traditional cuisine, a lively show of songs, stories and dancing. Explore the principal sights of central Edinburgh from the bustling Princes Street and through the gracious, wide streets of the 200-year-old Georgian New Town. Walk along part of the Royal Mile where compact medieval houses reach 11 floors tall. Visit Edinburgh Castle perched high above the city on volcanic rock. The castle contains the Scottish Crown Jewels and the Stone of Scone. The balance of the day is free. On July 31 to August 21 departures, seats are reserved for the Royal Edinburgh Military Tattoo. 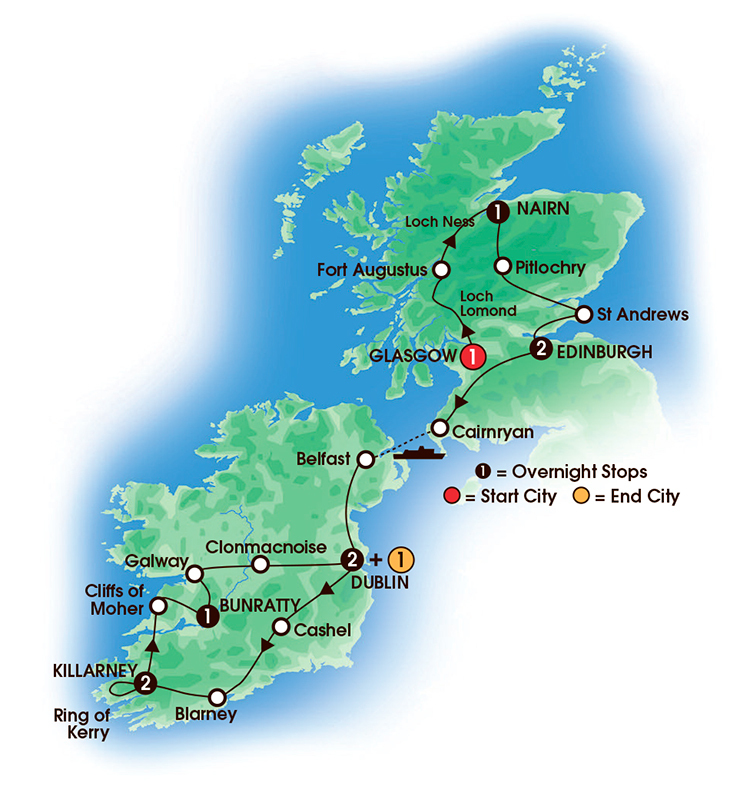 Depart Edinburgh and travel through Ayrshire and along the coast. 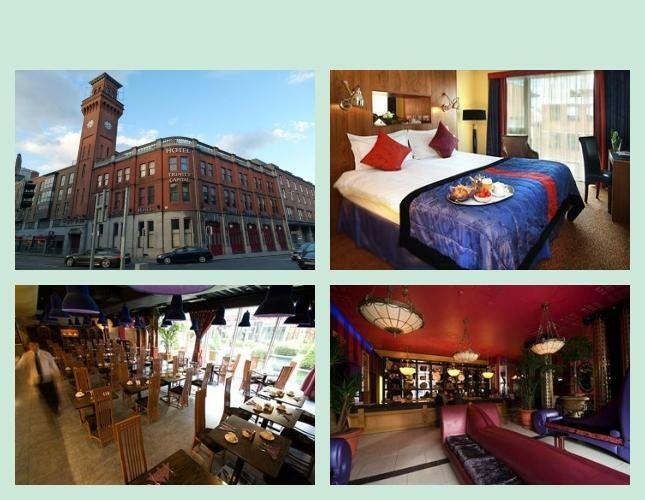 Embark on a ferry ride to Belfast with a casual lunch on board. At Titanic Belfast, immerse yourself in the history of this famous through state-of-the-art displays. Head to Dublin for a free evening in this lively city. A local guide will help you discover central Dublin. See the shopping areas around Grafton and Nassau Streets, elegant Georgian squares and the General Post Office, where the 1916 Uprising started. Take a guided walk through Trinity College to view the illuminated manuscript of the 8th century Book of Kells. Tonight, board a former Guinness barge for a canal dinner cruise complete with traditional Irish music. Travel through the midlands of Ireland, stopping for photos at the stately Rock of Cashel. Immerse yourself in farm life with tea and scones at a farmhouse visit and watch skilled sheep dogs herd sheep. 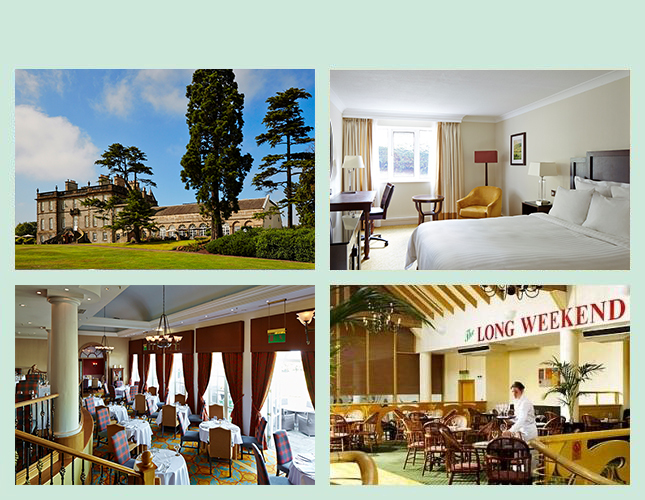 Head to Blarney Castle and kiss the famous “Stone of Eloquence.” Treat yourself to Irish goods at the Blarney Woollen Mills before heading to Killarney, picturesquely set beside lakes and mountains. Step back in time as a jaunting car drives you past Ross Castle set on Lough Leane. Embark on the Ring of Kerry drive – a winding route with breathtaking sights of mountains and coastal views. Cross the bridge to Valentia Island to visit the Skellig Experience, which explains the life of early Christian hermits on Skellig Michael, a rocky offshore island featured in the “Star Wars VII” movie. Enjoy a casual lunch and later stop in the pretty village of Sneem. Pause at Moll’s Gap for panoramic mountain views and return to Killarney where the evening is free. Take in the enormity of the Cliffs of Moher, a spectacular wall of sandstone that reaches 700 feet above the Atlantic Ocean, as you ferry across the River Shannon. Walk along the Cliffs for spectacular views. 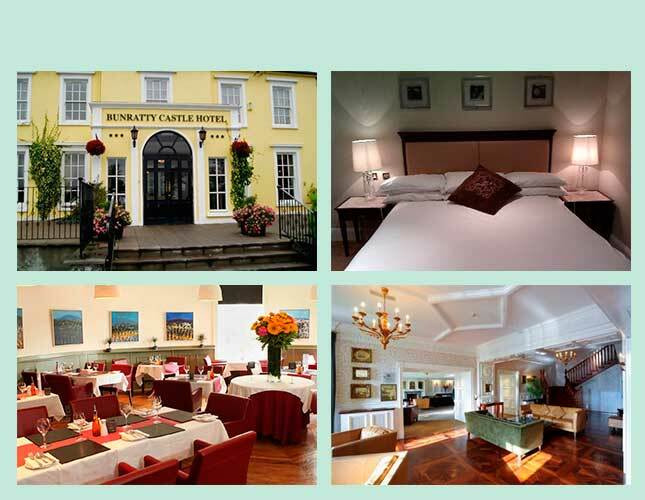 Later, at Bunratty Castle Hotel, you’ll have time to visit the Folk Park, have a drink in the 200-year-old Durty Nelly’s Pub or shop at the Bunratty Mills. In the evening head out for a memorable medieval-style feast where the lords and ladies will serenade you with song and harp music, evocative of the Middle Ages. Head to Galway for a walking tour around the central part of the city. Visit Clonmacnoise Monastic Site, founded in 546 AD by Saint Ciaran. Back in Dublin, enjoy a free night out on the town. Six dinners including a Scottish Evening in Edinburgh, a canal Dinner Cruise in Dublin, and a festive medieval castle banquet. **Airfare, Travel Insurance and add-on nights are available at an additional cost. 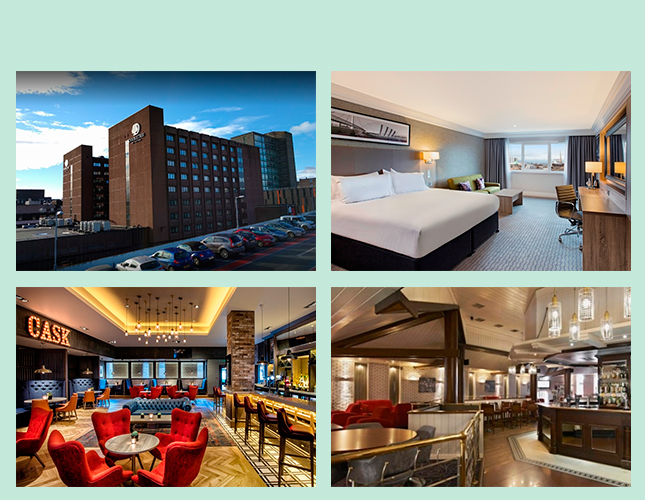 Group Air from EWR (Newark Airport) for Apr 2 overnight flight for arrival Apr 3, and return Apr 13 with 10 or more paid passengers will be offered. Travel Insurance is always advisable and can be obtained at time of booking. Anyone who’s talked travel with me, knows I am a super fan of Costa Rica! It’s easy to get to from the Mid-Atlantic, and if you are in any way, shape, or form about nature and all it’s glory, Costa Rica should be on your BOOK IT list! The people are friendly, the food is great, but the best part about this gorgeous country are the birds, beasts, and everything wild! Costa rica has such a diverse ecosystem that within a few hours drive you can enjoy volcanoes, rain forests, cloud forests, hot springs, and some of the most beautiful beaches. Costa Rica values its many national parks and is extremely eco-conscious. It is definitely a must for anyone with a sense of adventure and a fantastic place to take kids of all ages. Which one of you will spot the first sloth? Toucan? You can do as much or as little as you like. Thankfully for us, GAdventures has plenty of choices for your Costa Rican Escapades. I’ve chosen this one to highlight some of the best places to get a great sample of what the Ticos have to offer. Starting at just$1549 plus air, there are 8 more dates available for 2017. As with all GAdventures, EVERY date is a GUARANTEED DEPARTURE. Home to some of the most unforgettable landscapes, unique wildlife, and lush rainforests in the world, Costa Rica is a celebrated pioneer in protecting natural heritage. Forge your own path through this gorgeous country over nine days of outstanding adventure. Trek across the foot of a volcano to photograph giant blue butterflies, visit a coffee co-op, and search for monkeys while hiking park trails. Get in touch with nature’s best in Costa Rica. Arrival transfer. G Adventures-supported coffee tour and local lunch. Tortilla making and dinner in a local home. Guided nature walk in the Santa Elena Cloud Forest Reserve. Monteverde Institute visit and lecture. 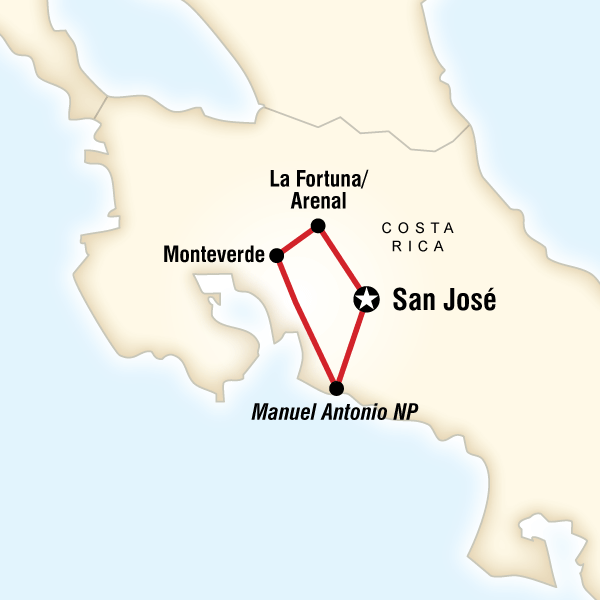 Guided excursion of Manuel Antonio National Park. All transport between destinations and to/from included activities. Visit a G Adventures-supported coffee cooperative with a coffee tour and local lunch. Continue to the adventure hub of La Fortuna. In the evening, visit a local home and learn the art of tortilla making. Afterwards, dig into a tasty “casado” – a typical Costa Rican dish that’s made with black beans, plantains, and the tortillas you’ve made. Free day in La Fortuna for optional activities. Opt for rafting, canyoneering, or nature hikes. Travel from La Fortuna to the cloud forest of Monteverde – a nature lover’s paradise. Enjoy a nature hike in the Santa Elena Cloud Forest Reserve. After, visit the Monteverde Institute, which has served as the base for numerous National Geographic funded explorers and researchers. Enjoy a lecture by one of the researchers outlining the various projects National Geographic has sponsored in reforestation of tropical regions research and conservation. This afternoon, opt to visit a butterfly garden, zipline through the canopy, or go horseback riding. Continue to the stunning Pacific coast. Enjoy the laid-back atmosphere of the area with options to surf, go horseback riding, dolphin watching on a catamaran, or visit other nearby picturesque beaches. Take an excursion to Manuel Antonio National Park, famed for its stunning beaches and abundant wildlife. Look for monkeys, sloths, and some 350 species of birds. Whatcha doin’ this Halloween? Why not Rock OUT at “Dracula’s Castle”…in Transylvania! I’m serious. Dead. Serious. There is a private party in a gothic castle in Romania, and you are invited! Really, how can anyone top that? Fly into Bucharest overnight to arrive Oct 27 for your 6 night goth dream trip. Only 100 guests for this unique COSTUME party. 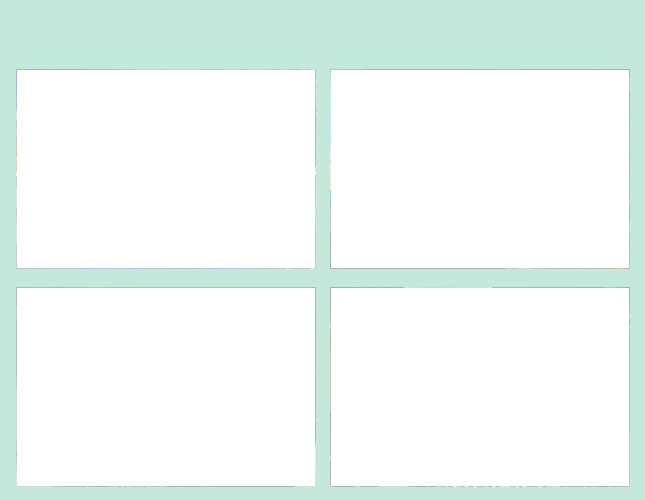 I wonder who will show up in THOSE selfies? $1399 per person plus air. GAdventures, gotta love ’em! Transylvania. The name itself is enough to send an icy chill down the spine of even the most fearless adventurer. Now imagine being there, in person, when the clock clangs midnight… on Halloween! At odds with its creeptacular reputation, Romania ranks as one of Europe’s most charming and underexplored regions, beguiling visitors with its stunning Gothic architecture, enveloping forests, and friendly people. But as idyllic as it is by day, the real fun happens at night – particularly Halloween, when we’ll treat you to a costume party in an authentic castle. Think you’re not afraid of the dark? You will be. Ruins of Dracula’s Poenari Castle visit. Sibiu orientation walk. Exclusive Halloween party at haunted Bran Castle. Sighisoara orientation walk. Visit Rupea Citadell. Bran orientation walk. Bucharest orientation walk. All transport between destinations and to/from included activities. 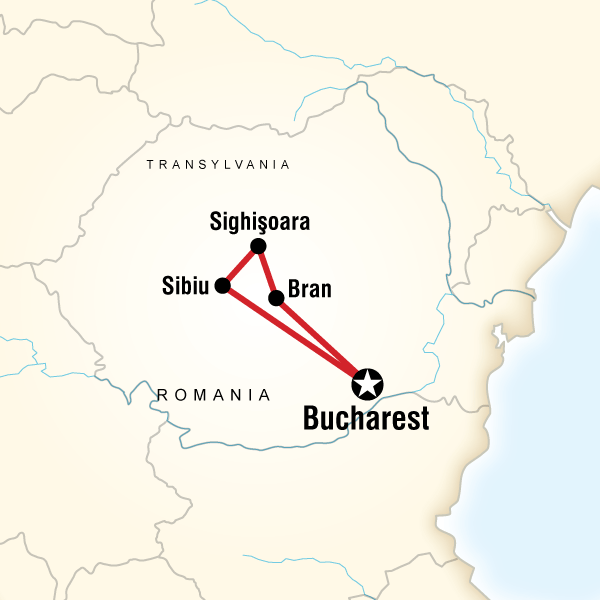 Day 1Bucharest –Arrive at any time. Visit the ruins of Dracula’s Poenari Castle en route to Sibiu. Enjoy an orientation walk upon arrival. Opt to visit the art-focused Brukenthal Museum. Continue on to Sighisoara with an orientation walk upon arrival. Enjoy some free time to explore the birthplace of Vlad ‘The Impaler’ Tepes, also known as Dracula. Get to the know the city on an orientation walk and check out Bran Castle, impressively situated on a rock outcrop. I KNOW I have Belgian Beer fans out there! I also know I have the tour for you! 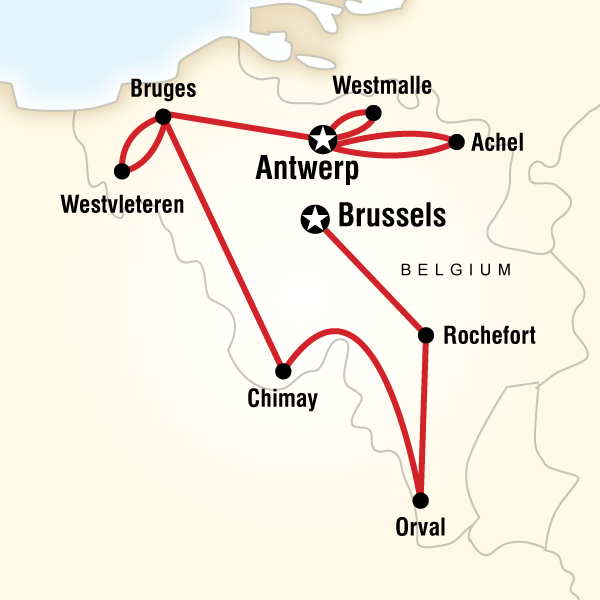 My partners at GAdventures have an amazing Trappist Monk Breweries tour, just for you! MAXIMUM of 14 guests per tour, so we better get you booked ASAP! Don’t have a passport? Well then it’s high time you get one, my friend! Choice of Aug 5-12 or Sept 9-16, 2017 OR July 21-28 or Aug 4-11, 2018. Just $2199 per person plus Air. Want your own room? Add $899. Brussels orientation walk. Rochefort visit including beer tasting and picnic. Orval visit with beer and Trappist cheese tasting. Chimay visit with lunch and tasting at a local brasserie. Bruges orientation walk. Barbecue near Westvleteren with beer tasting. Antwerp orientation walk. Café Trappisten beer tasting (Westmalle). Achel visit with tasting. All transport between destinations and to/from included activities. Day 1 Brussels-Arrive at any time. See the church at Abbaye Notre Dame de Saint Remy where Rochefort is made – with some luck, they’ll let us in for a peek. Head to the markets and collect some picnic supplies to enjoy with a Trappist beer. Enjoy a free morning in Bruges. In the afternoon, head out with a local for a barbecue. He’ll share his stash of the rare Westvleteren beer. In 5 short weeks my friend Jane and I will be hanging out in Amsterdam for a few days before we embark on our Tulip Cruise …well, probably we’ll be dead asleep at this time of day because there’s a 5 hour difference, and we’ll have been traveling all night and day, but you get the picture. The weather over Tulip Season is a perfect low to mid 50’s. I can totally dig that! We’ll be hitting up Coffee Shops, Canals, Gardens, Parks, and as many Art Museums as we can! Fortunately, Amsterdam is one of those places that offer a city pass to make the most of your time. We’ll pick up our HollandPass as soon as we land and use it for the duration of our two weeks. Anyhow. While we are in Amsterdam we will be visting with our friend Van Gogh and check out Rembrandt House. The Rijkmuseum is at the top of the list. Although it doesn’t look like we’ll get to go to the Anne Frank House because tickets are sold out months in advance, there is so much more to do! I found a few good websites for Amsterdam, like AwesomeAmsterdam.com as well as a fun video for some of the lesser known things to do. The Portuguese Synagogue was already on our list, but for you Purse Fanatics, there’s something REALLY special for you! Check it out! I’m pretty sure, I’ll have to save FEBO for my trip with Mike. You’re at a milestone birthday, celebrating a “big” anniversary, built up an additional week of vacation, or you just want to do something super special. What’s the new “in” vacation? You’ve got it! River cruising! Wait, you don’t know about river cruising? Well, friends, let me broaden your horizons. Over the last few years, travelers who appreciate diverse cultural experiences, luxury accommodations, inclusive excursions, and experiencing regional cuisine, as well as wines and beers have discovered the value of a River Cruise. River Cruising gets you up close, and right into the cities that were the heart of Europe, Southeast Asia, South America and Africa. Castles and Bridges, Vineyards and Medieval Villages. I’m extremely excited about my own upcoming river cruises with Avalon Waterways Yes. I’ll be doing TWO this year as part of my training. In April, a friend and I are taking advantage of Avalon’s Single Supplement Waiver and will each have our own cabins without paying for double occupancy. We’ll be lucky enough to be in Amsterdam for the King’s Day celebration the day before our cruise. Our focus for the trip will be tulip gardens and art museums (van Gogh! ), as well as the Jewish Cultural centers. We’ll be cruising throughout the Netherlands and Belgium, so beer will definitely be part of the appreciation. I’m currently using the DuoLingo app on my Samsung to learn Dutch, then I’ll work on my German and French for the summer! In addition to spending a few extra days in Amsterdam, we’ll do a two night layover in Dublin where we’ll hang out in the Grafton Street and Temple Bar areas. Pretty darn stoked! In July, Mike will get his first taste of Europe when he and I fly to Zurich. We’ll board Avalon’s Artistry II in Basel to cruise the Rhine and Moselle Rivers and end in…you guessed it…Amsterdam! Did you know the Rhine is the number one River Cruise destination for first-timers? Beer, Wine, and Castles, how can you go wrong? Now let’s talk about where to go for YOUR first River Cruise!